In progress renovation to an existing suburban bank. 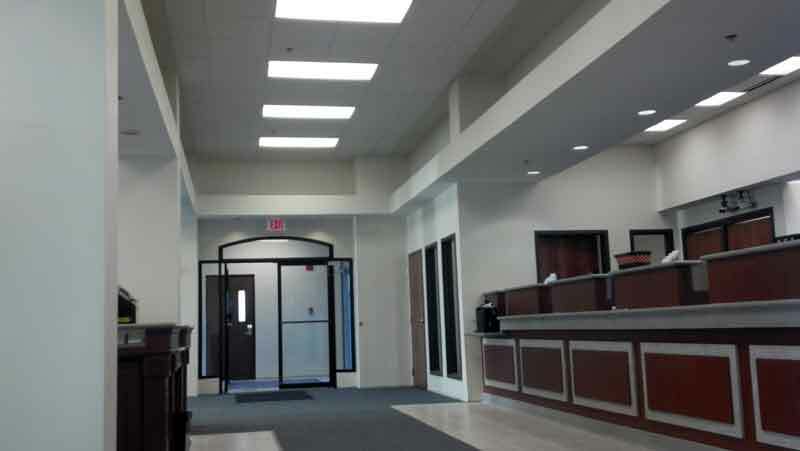 New architectural ceiling elements build off existing framing to lower cost while improving definition of new teller line. The design increases traffic flow within the lobby while separating walk up traffic from banker offices.